I planned to do this post for my 52nd wishlist to celebrate a year of wishlisting, but I couldn't wait to show off all the new colours and things that I am loving for the launch of Spring/Summer 2014! And my, my, isn't it looking amazing? 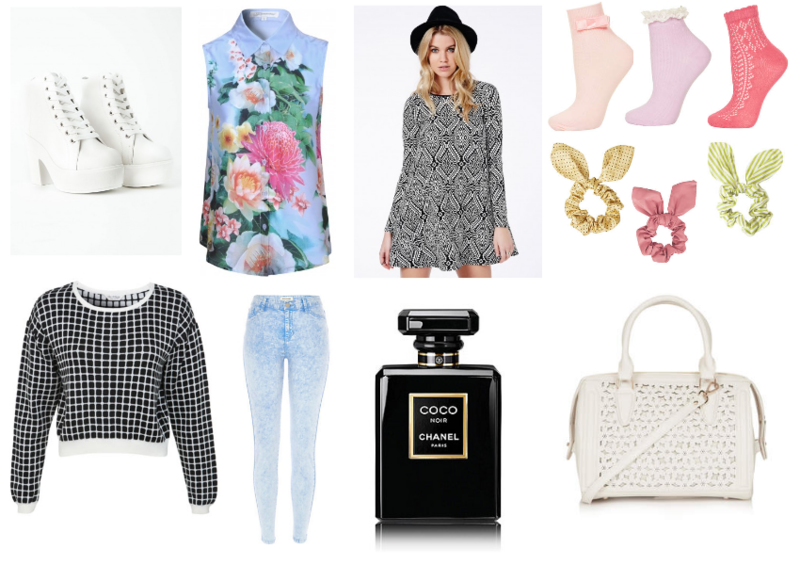 Pastels, monochrome prints from dogtooth to aztecs, gingham, PU and florals. I love it all, and this is probably my ultimate wishlist for this year already... And it's only just the end of January! WOw everything on this list is just perfect! I love the white boots and the pastel blue skort and the lilac dress and the sock and omg just everything ahaha. Greatt post!